When you are decorating a property, simple items such as a Kate & Kate throw can instantly transform your area and add to the styling of your home. Here at Eclectic Cool, we pride ourselves on sourcing some of the best brands from around the world to bring you high quality items that help you create a space that is as unique as you are. 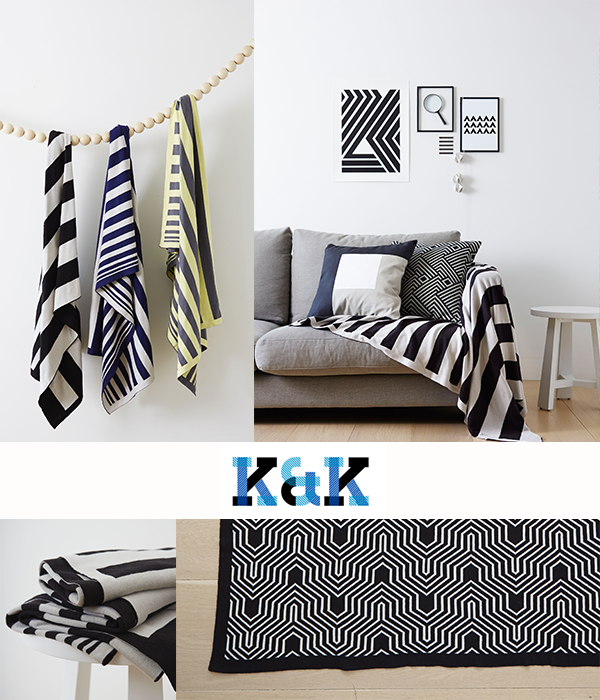 Established by two mums and sisters in law in 2013, Kate & Kate is a brand that offers a great range of beautiful knitted blankets. Their style is contemporary with new designs regularly being added to their collection. Their fresh designs incorporate geometric patterns and clean lines, giving a modern edge and elegant styling to any room. As well as looking great, a throw is designed to be flexible and comfortable. Perfect for a range of areas including bedrooms and the living area, each of their blankets are a great size that allows them to be used for babies all the way up to adults. No matter what you plan to use it for, you are sure to find a design that suits you here on the Eclectic Cool website. Here at Eclectic Cool, we make it easy to purchase homewares for your home. We include images and details of all of our products to help you select the items that suit your needs. Order online today or contact us for further information.